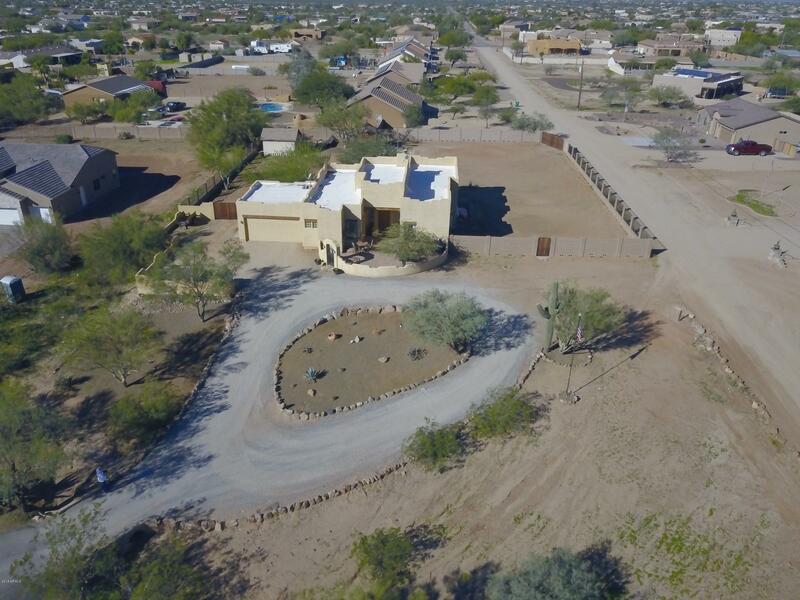 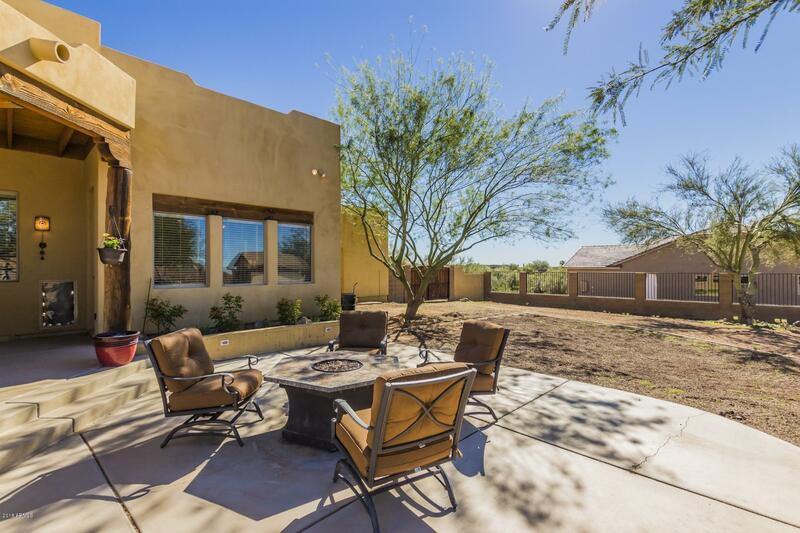 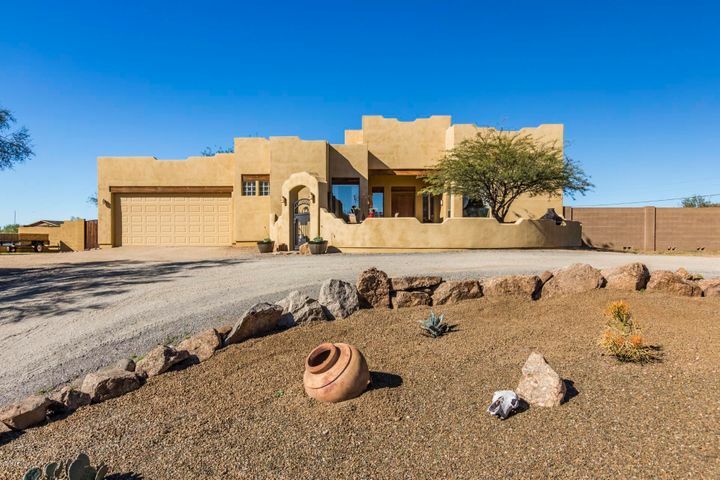 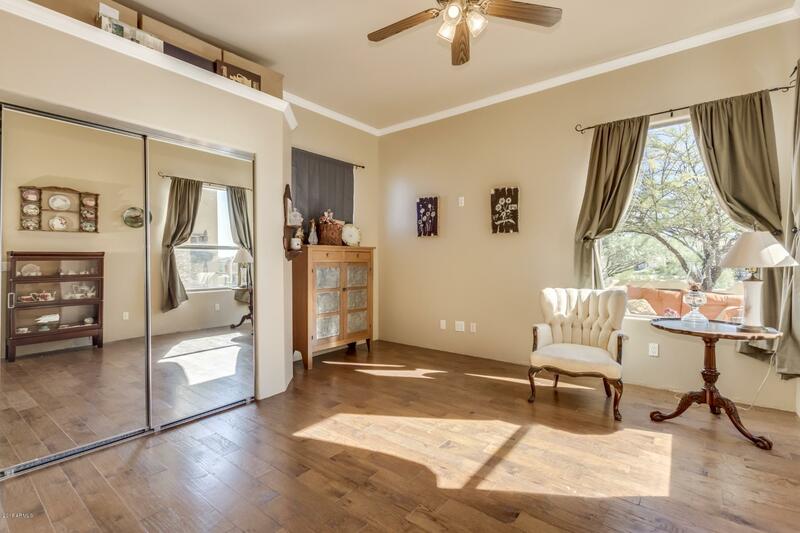 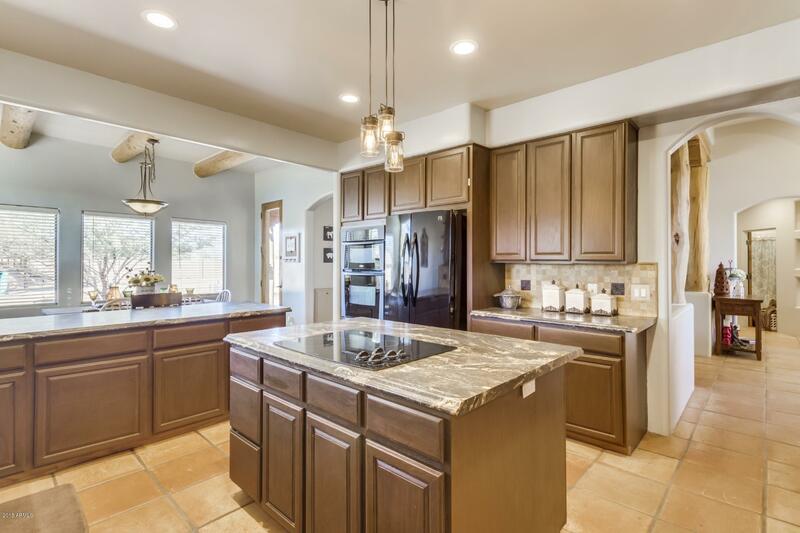 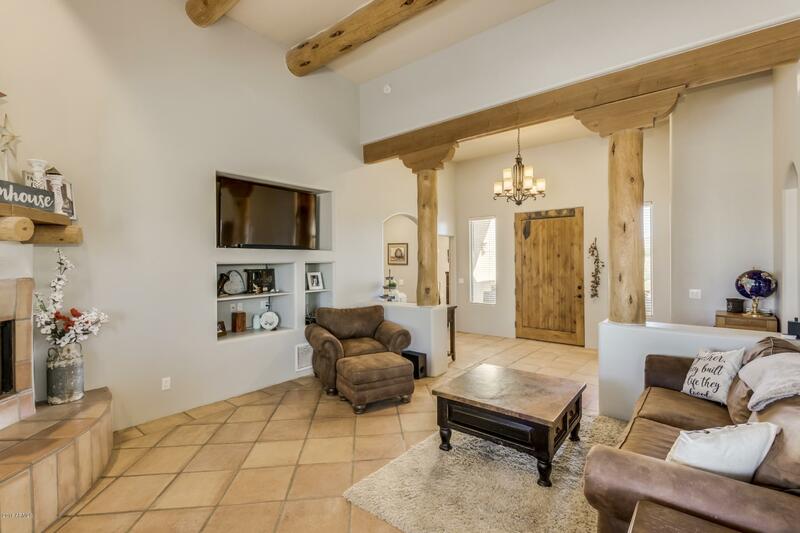 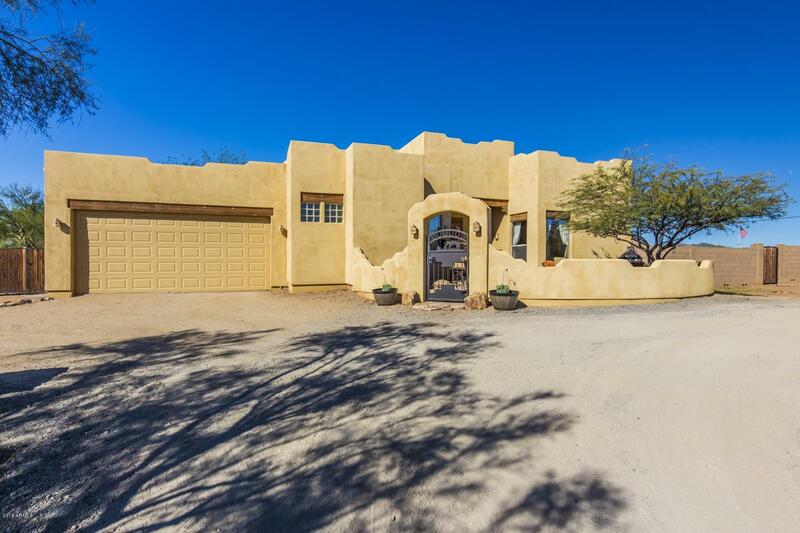 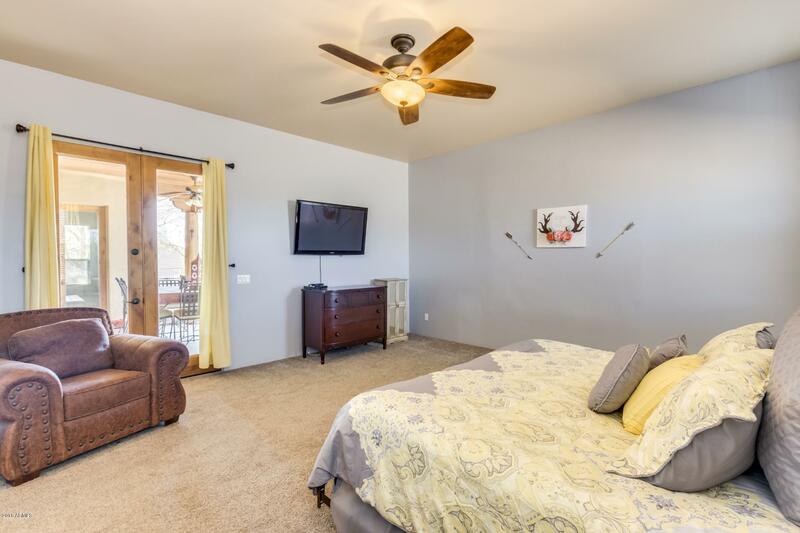 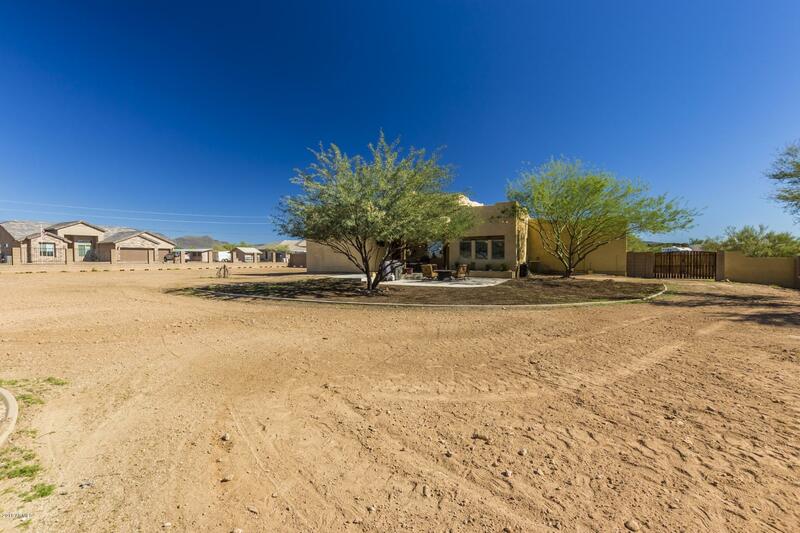 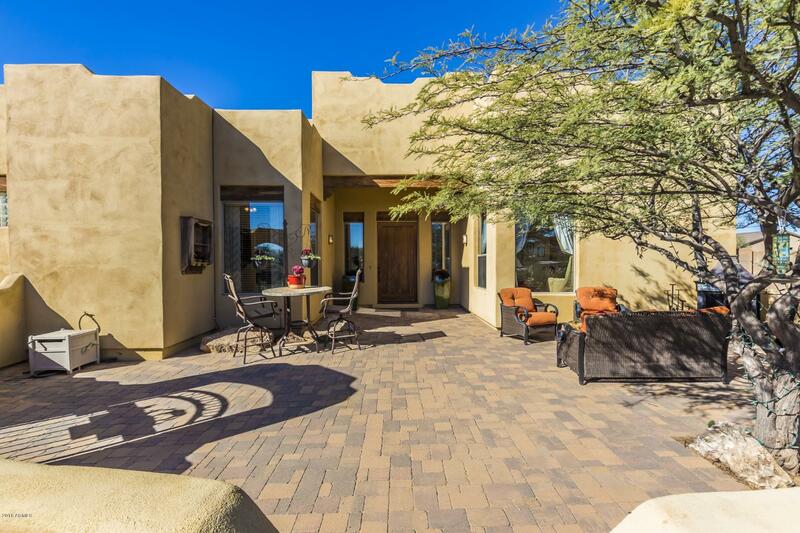 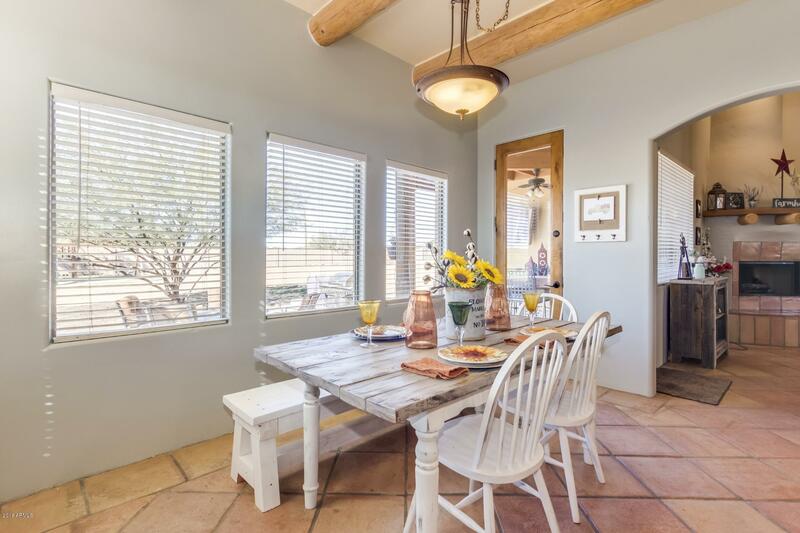 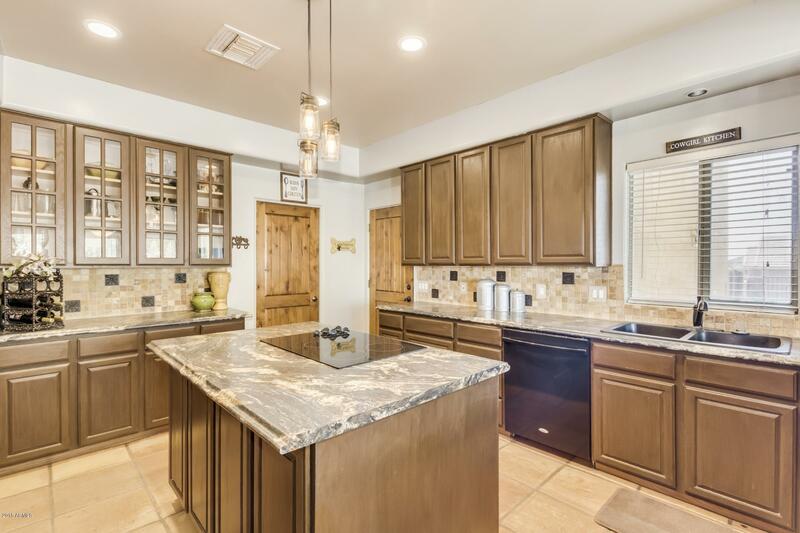 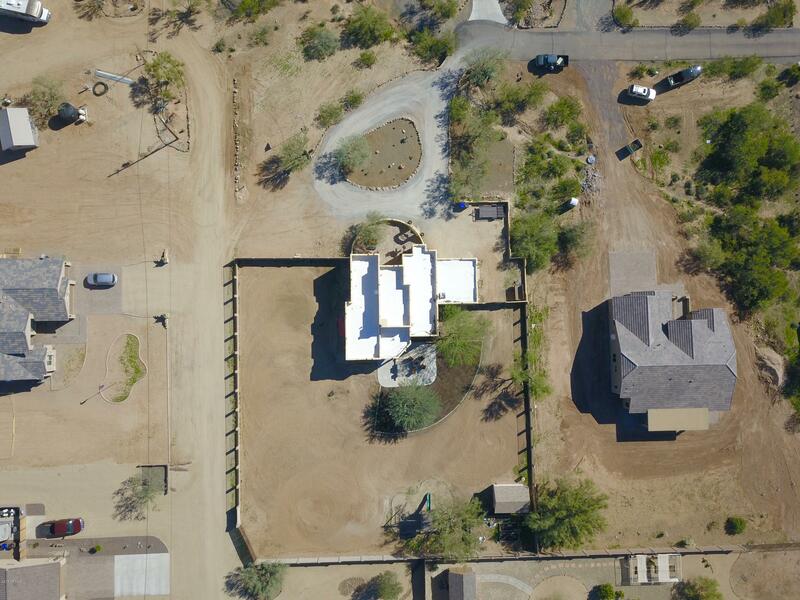 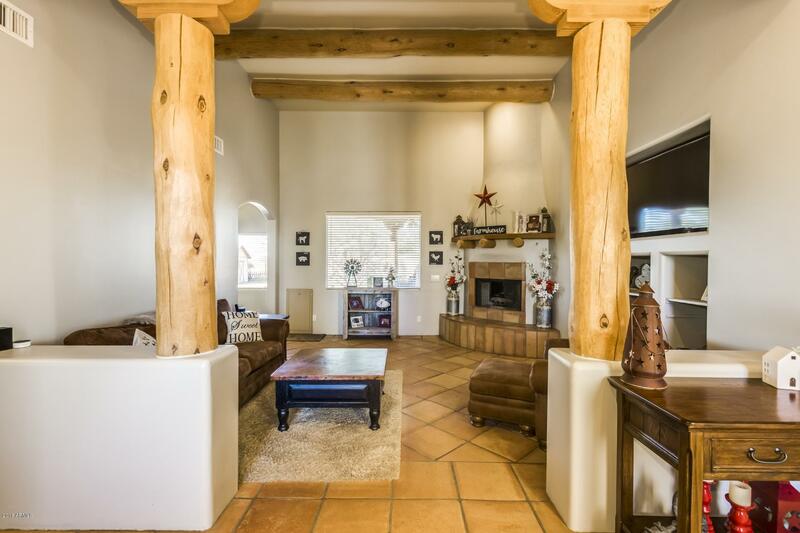 Beautiful custom built home with stunning mountain views of Cave Creek Regional Park! 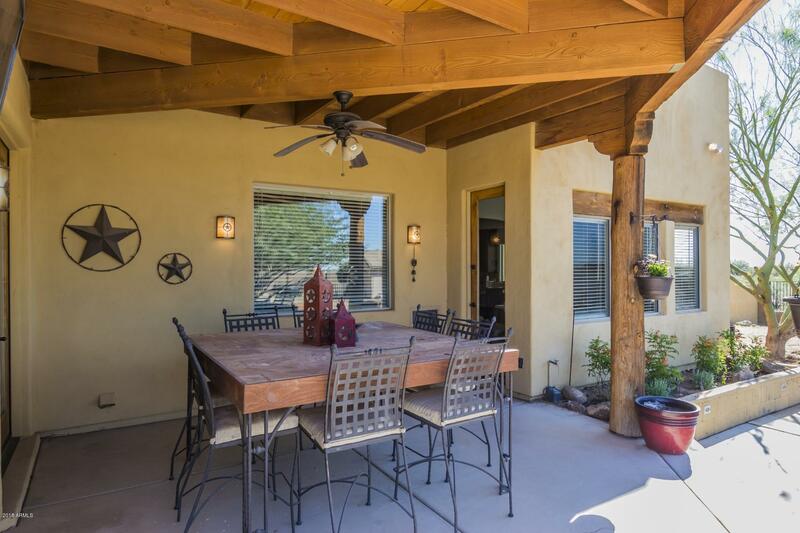 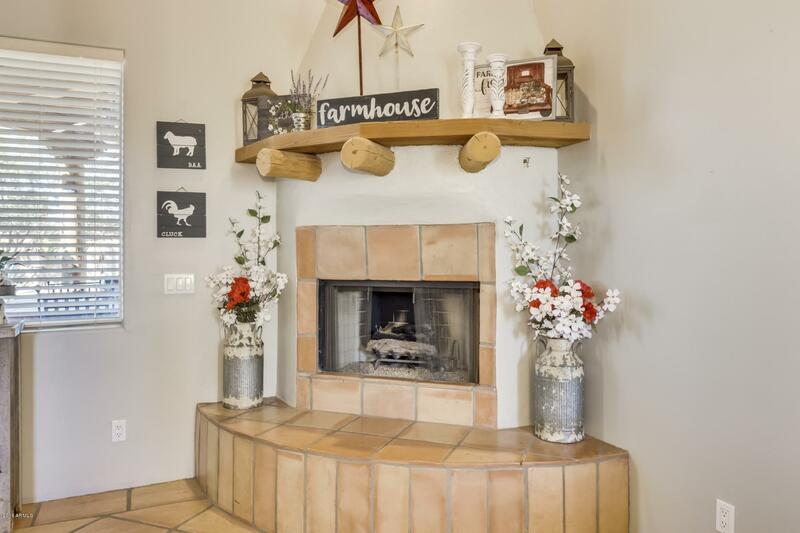 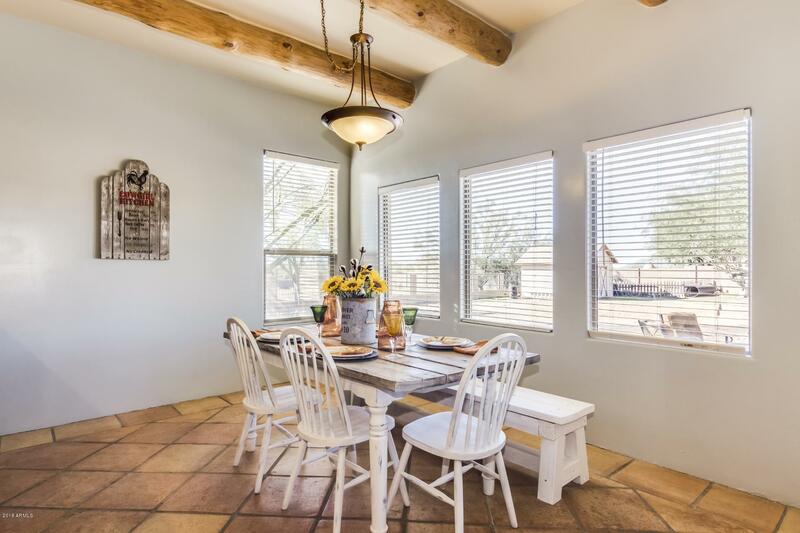 Courtyard entrance opens to flowing floorplan with Saltillo tile, exposed wood beams, fresh paint, cozy gas fireplace for comfort and convenience and an abundance of natural lighting. 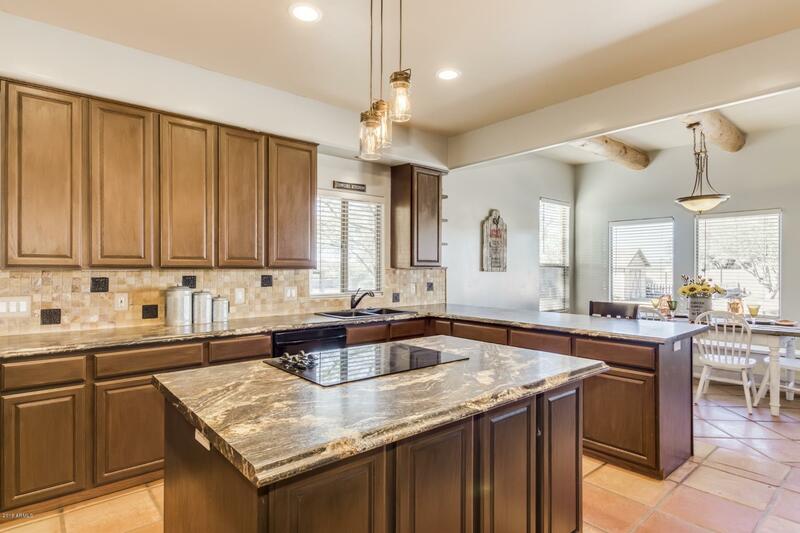 Kitchen has wood cabinetry, tile backsplash, matching black appliances and built in shelving. 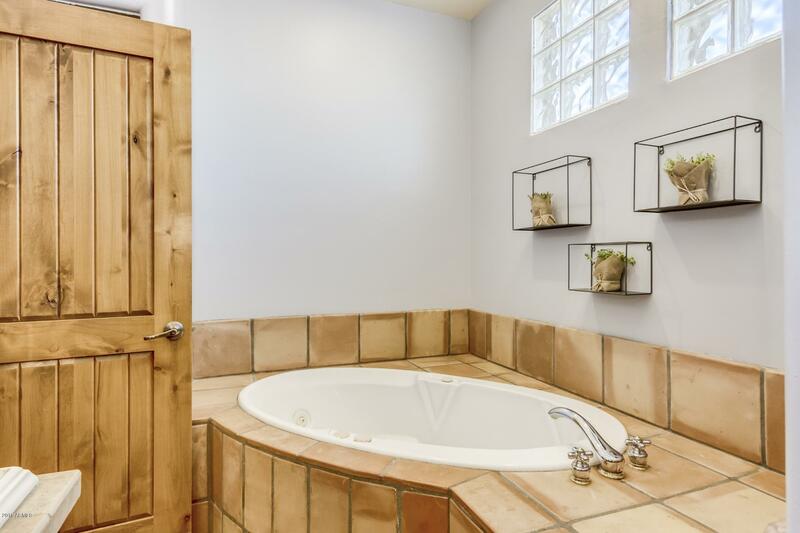 Spacious master has private exit to the back patio and ensuite bath comprised of double sinks, separate walk in shower and soaking tub. 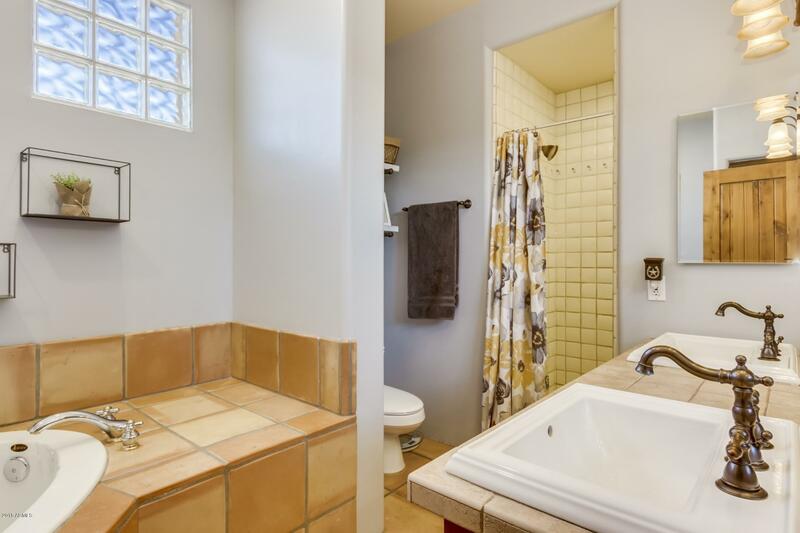 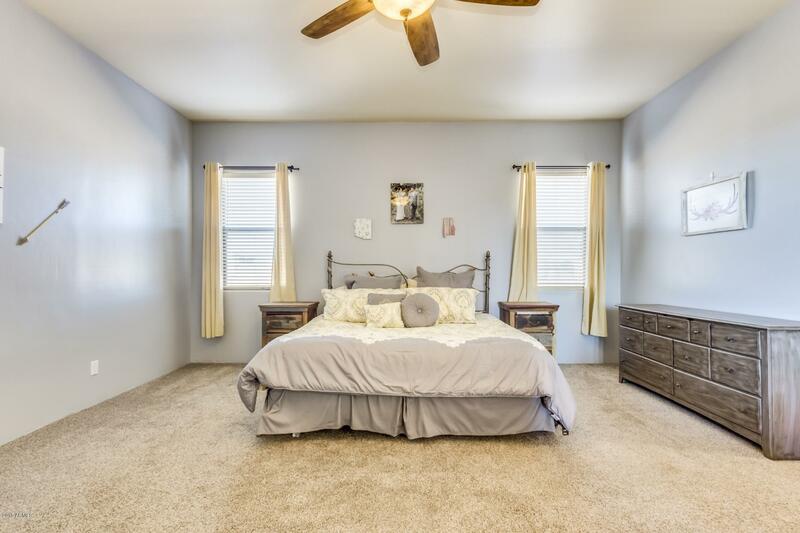 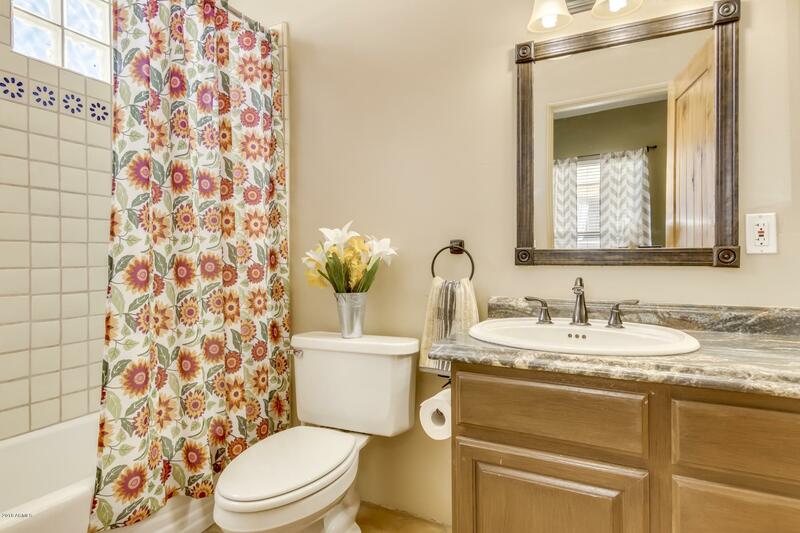 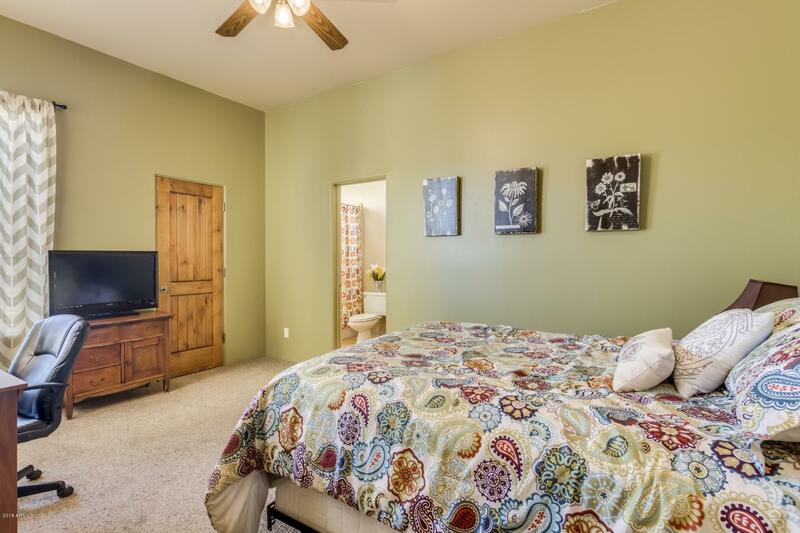 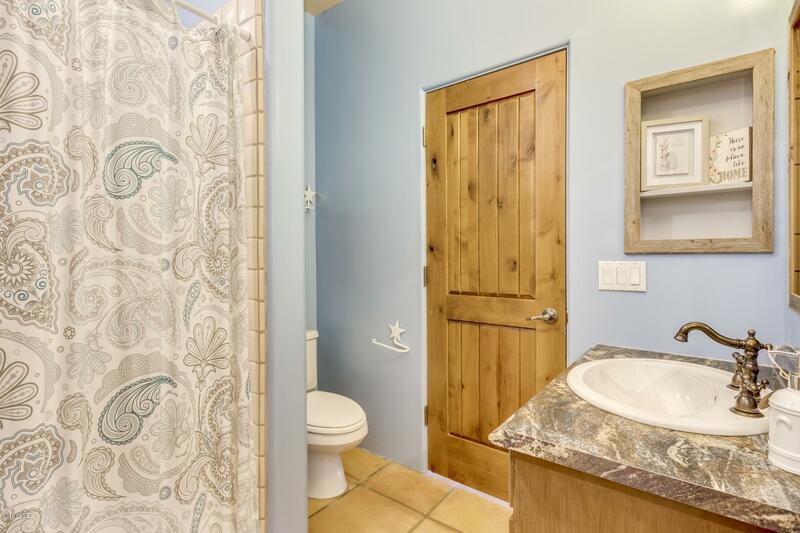 All bedrooms have ensuite bathrooms! 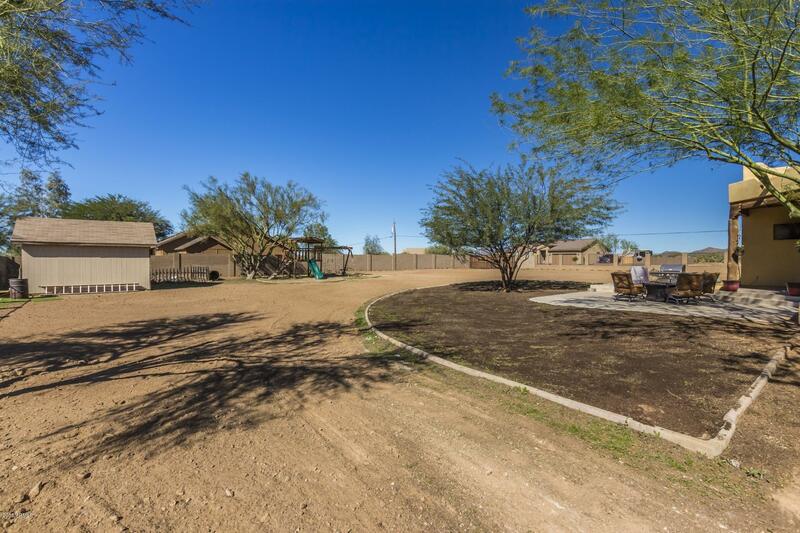 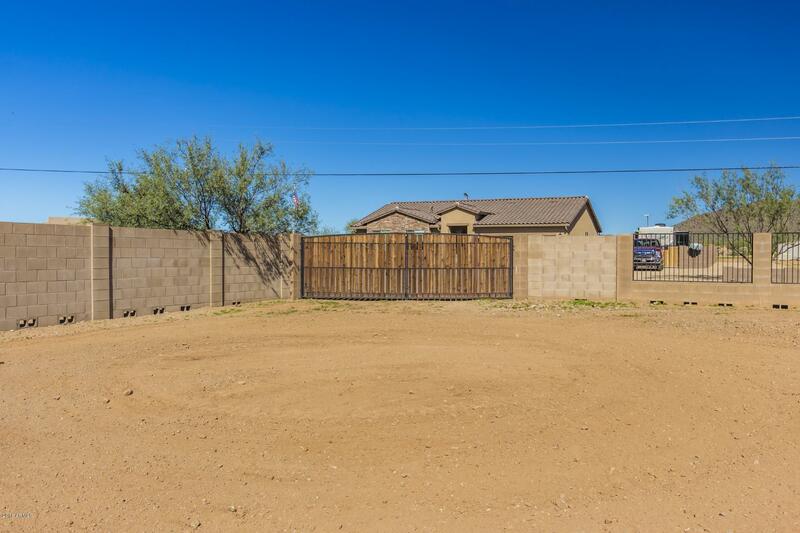 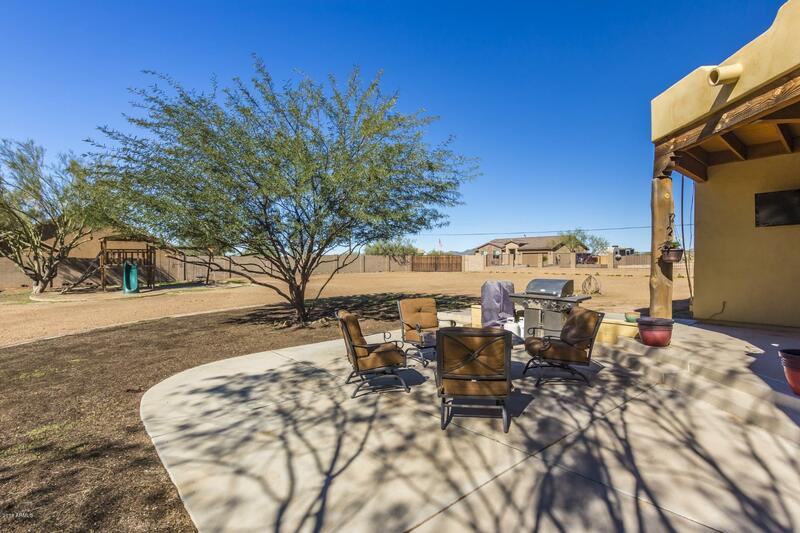 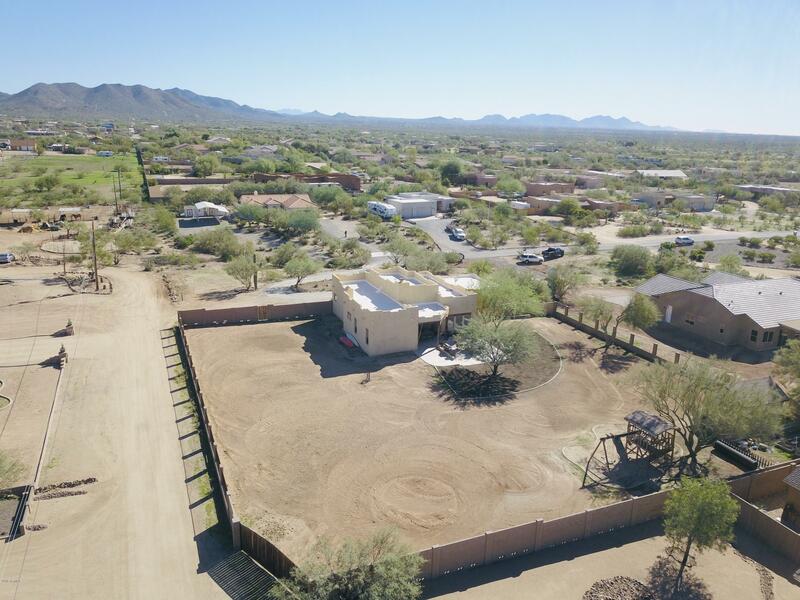 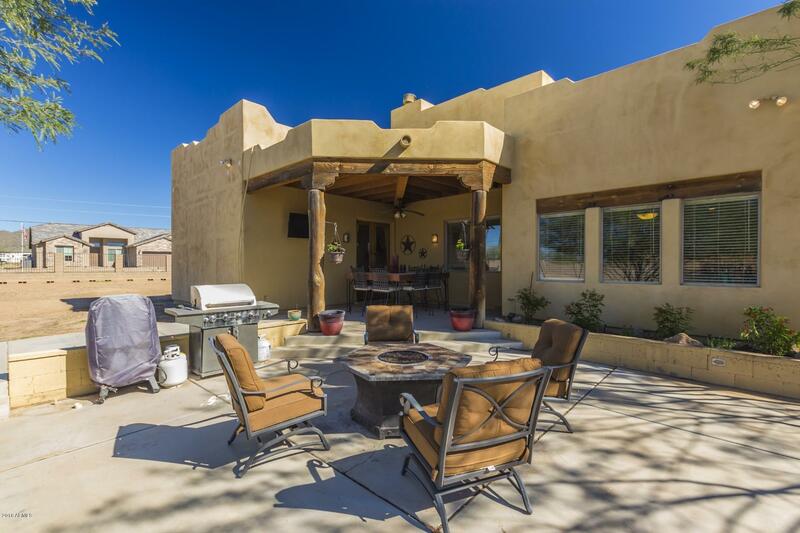 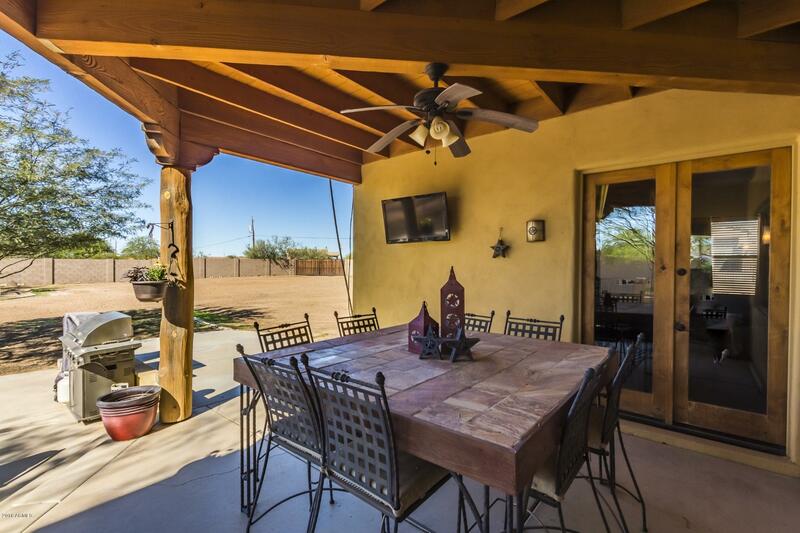 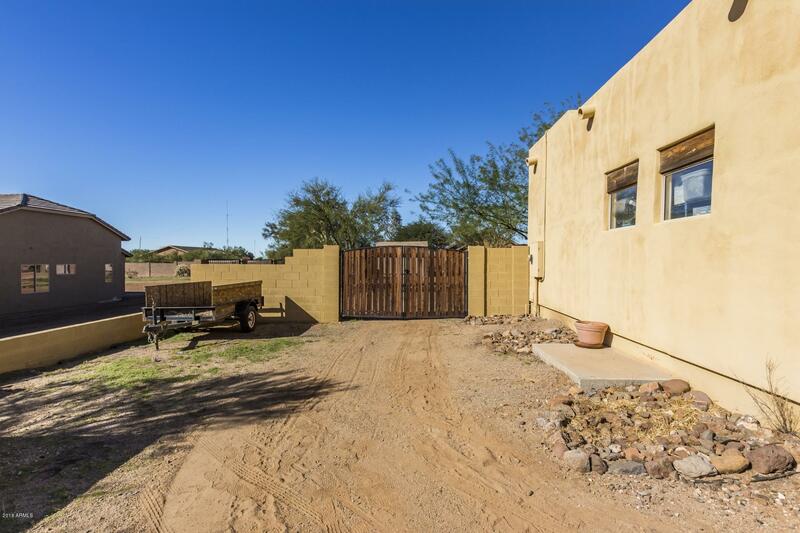 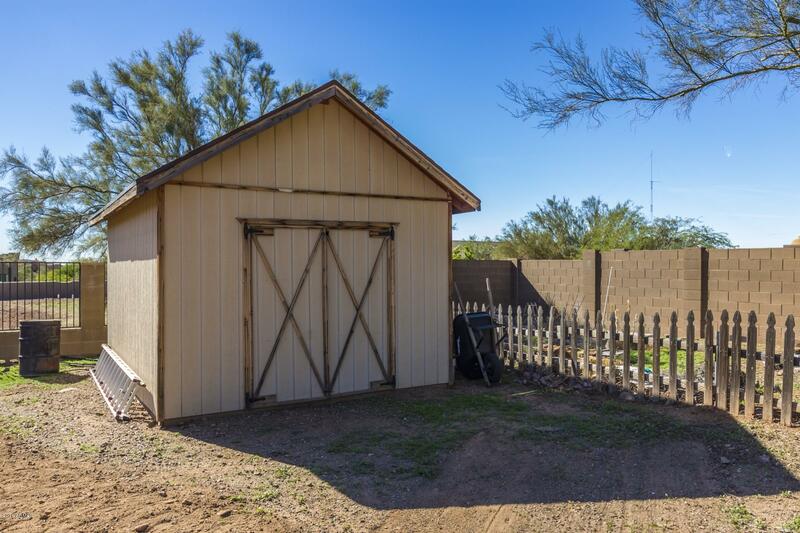 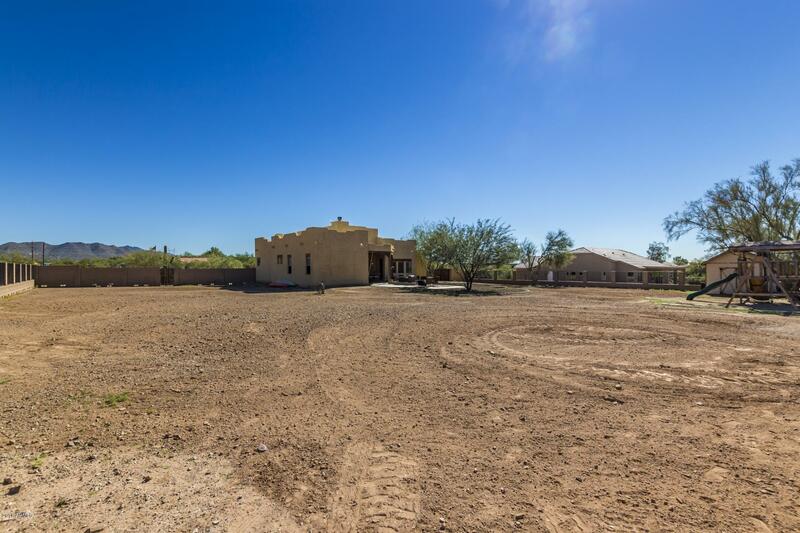 The backyard is fully fenced with new cinderblock & wrought iron view fencing and has an expansive covered patio with plenty of space for grill and firepit and plenty of land to do as you please. 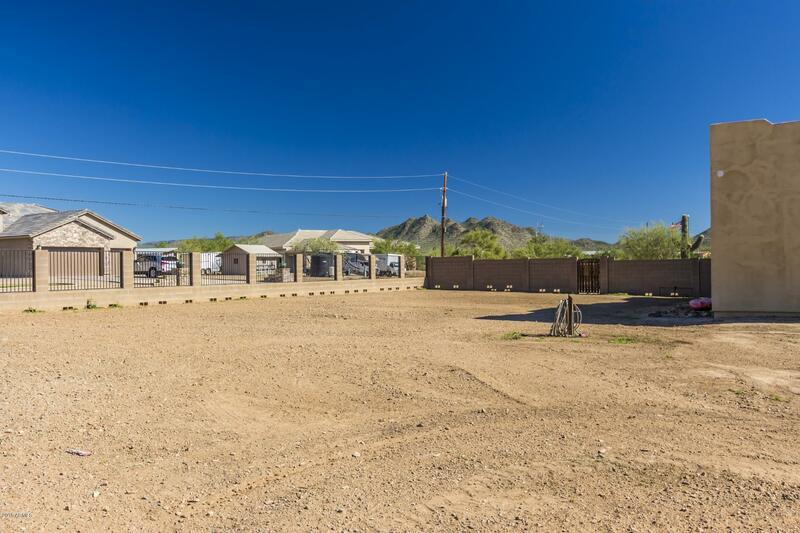 Bring your horses & toys with easy access through 2 RV gates!